First, the development of clustering will drive the rapid growth of the regional economy. 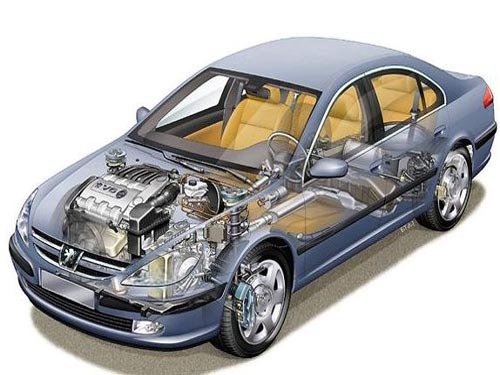 The auto parts industry has formed six auto parts industrial clusters in the Northeast, Beijing-Tianjin, Central China, Southwest China, Yangtze River Delta and Pearl River Delta. The industrial clustering makes the division of labor more elaborate, more professional, and easier to achieve scale, so that the information is more concentrated and faster, the pace of technological innovation is faster, logistics is easier to organize, and economic benefits are significantly improved. The second is that foreign-funded parts and components companies accelerate their entry into China. With the development of the Chinese auto industry in depth, many foreign auto parts companies have accelerated their investment in China. For example, the second plant of the world-famous parts and components supplier German Bosch chassis system has settled down in Chengdu. The third is mergers and acquisitions, overseas mergers and acquisitions will gradually speed up. The increasingly fierce price war in the entire vehicle market is also eroding the profitability of the parts and components industry. The requirements for vehicle manufacturers to reduce costs and ensure profit are increasingly demanding. Although the scale of China's auto parts industry is large, but it does not exert scale effect, the integration and reorganization of the auto parts industry is imperative. It can be foreseen that China's auto parts industry will enter an accelerated integration stage in the next few years. On the one hand, horizontal and vertical integration between domestic enterprises can achieve economies of scale; on the other hand, overseas acquisitions can be used to realize resources such as production and markets in the world. Optimized configuration of scope and access to advanced technology and management experience. The fourth is that new energy auto parts will become investment hot spots. China has already included new energy vehicles in strategic emerging industries. Under this situation, the establishment of new energy vehicles and key component industrial bases throughout the country has begun in full swing, and investment in domestic new energy vehicles and key components will be Constantly increase. These four major trends also show that the auto parts market is a very promising market. Xiaobian has reason to believe that these four major trends will also bring about a revolution in the Chinese auto market. We offer Automatic Lathe Custom small Parts products .,please offer your drawing or samples that you need to produce to us .